“Possible now to color yolks of eggs “red, white and blue” by feeding hens different feeds,” April 7, 1939, by Harris & Ewing, via Library of Congress Prints and Photographs Division. 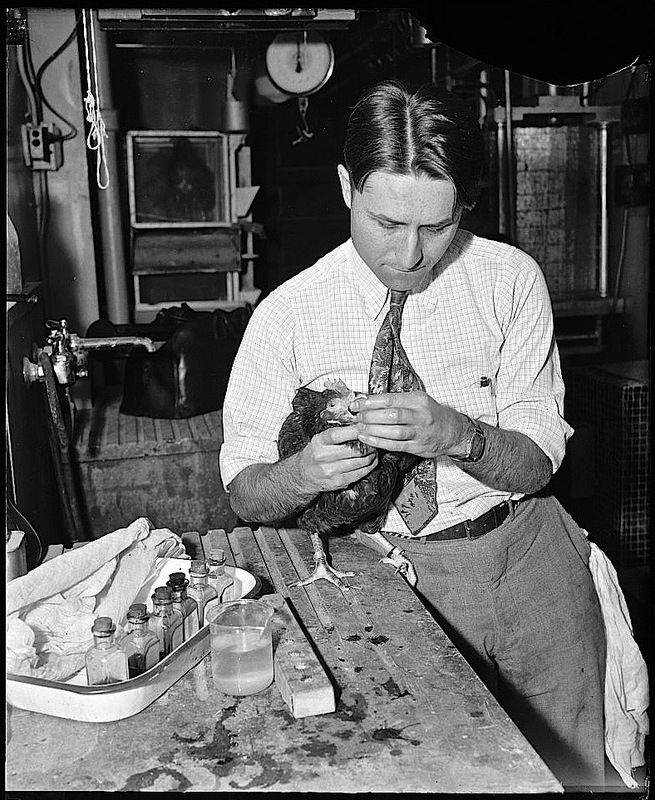 Washington, D.C., April 7. . . . Charles A. Denton, Junior Chemist, poultry nutrition laboratory of the National Agriculture Research Center, Beltsville, Maryland, feeding a hen a certain food to produce a definite colored yolk. More photos of the Department of Agriculture in action in the 1930s here and here. to his ear. . . .
caught up inside his fist. . . .